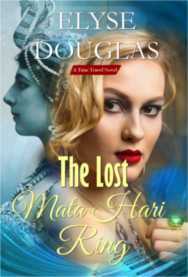 Later, while visiting a wealthy man's private Mata Hari collection, Trace is drawn to a glittering ring, once worn by the convicted spy. Trace is enthralled. When she's alone, she slips the ring on and is swiftly hurled into the past. There, she must face herself as she was in the past, while struggling to change the course of her destiny.